Lighting can be pricey. And if you want a really unique piece, it can be prohibitively expensive. So why not get crafty and make one yourself? Here are ten gorgeous, easy, affordable DIY light fixtures. Color me jealous folks. Casey of Vitamini Handmade scored a mid century dresser for only $10 (nope, not a typo) and was able to make it look like a million bucks. If you've ever wanted to learn the tips and tricks for restoring a piece of furniture, this makeover piece also includes insight into how to restore hardware and more. It's amazing what a little elbow grease can do, don't you think? There weren't very many redeeming qualities about this bathroom, which is why the owners decided to gut it and start fresh. And they did the massive renovation all on their own. Read on to see the stunning final space. 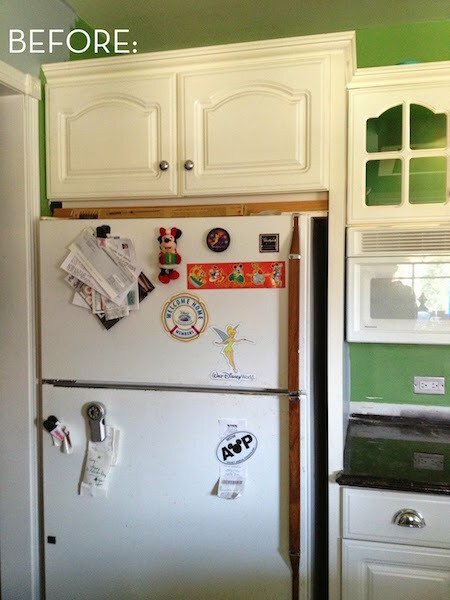 I can't tell you how badly I'd like to take a sledge hammer to our kitchen cabinets. But since that would be the last thing I'd want to do as a renter (who wants her deposit back), I've decided to live vicariously through The Sweet Escape instead. Most TV tray tables are boring by nature - they're made to be functional and affordable, not attractive. But they don't have to stay that way! Here are ten genius ways to transform them. Every nursery needs a dresser/changing table/statement piece, am I right? When putting together our daughter's nursery, I knew that I wanted something unique, but still simple. I found an old white dresser at a local flea market, and gave it a few coats of coral paint. Instant gratification, but it was still missing something.